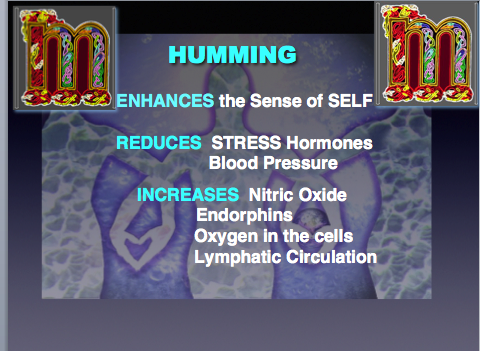 The Humming Effect | Sondra Barrett, Ph.D. | Sondra Barrett, Ph.D.
For decades I have taught about cell health with practices that help reduce stress and align body, mind and spirit. And one of the recent practices that has helped a lot of people is HUMMING. 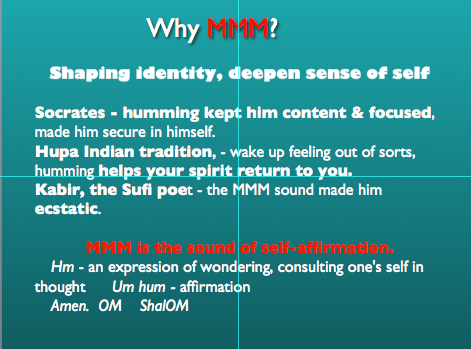 I used to teach what we know about the psychological benefits of Humming – restoring the sense of self. This is work from psychologist Arlen Mahlberg. And then last year sound healer Jonathan Goldman came out with his book The Humming Effect. He reports the physiological benefits of humming – not humming a song, rather humming one tone. 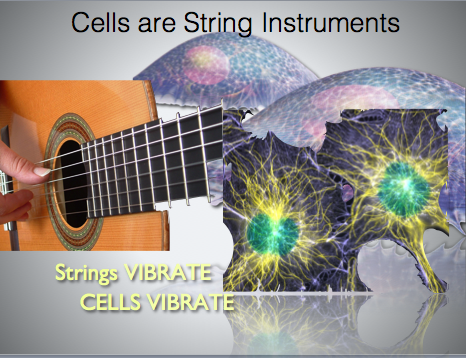 And since our cells are string instruments, humming attunes them releasing holding patterns of stress. Check it out. One of my multi-tasking students who is a nurse and energy healer tried everything she knew to quiet her mind to get centered. Nothing worked. Until she tried humming. In a few minutes she had restored herself to the PRESENT MOMENT.